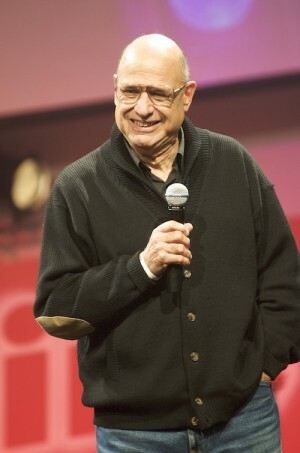 Tony Campolo has a reputation for shaking things up and causing a bit of stir. At the end of our interview I wonder aloud if we both agree on the professor’s most famous quote. Laughing he recites word for word, part of the message he gave at Spring Harvest in 1982. Now, 20 years on Tony’s message seems all too familiar. He still talks a lot about the sermon on the mount and Jesus’ challenge to serve the poor. His books tend to focus on themes of social justice. Campolo supporters have been frustrated with much of the Western Church for ignoring the marginalized and needy. But citing recent comments from Time magazine, Tony believes the tide is turning. It certainly rings true that broadly speaking, the US and UK Church affirms that the gospel must be delivered with both words and actions. That particular debate is now over, but the Christian world has Campolo and his friends to thank for starting it. Now the question for many Christians is not whether or not we should pursue a Christian vision of social justice, but how. 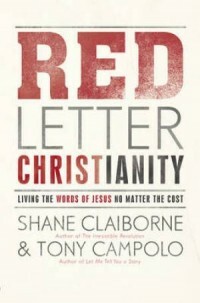 Enter Tony’s latest book, written with Shane Claiborne titled Red Letter Christians. The book is a conversation between the two authors about how to live out the red words of Jesus. Tony says the pair have a “good discussion” on topics including war, homosexuality and the practicalities of living what Jesus taught. Originally a recorded verbal discussion, the book started as 600 pages of transcription, before being edited down to 200 pages and divided into topic based chapters. Talking about the relatively new movement known as Red Letter Christianity, Tony says the phrase has emerged out of the ashes of the term 'evangelical'. Tony points out that renaming beliefs is not a new idea, even in the Christian world. One hundred years ago, nobody used the word evangelical. They called themselves fundamentalist, Tony explains. One of the main strengths of the new book is the inter-generational idea. Campolo is almost 78 years old while Claiborne is just 37. The book is also bang up to date. As a friend of Rob Bell, Tony is aware of the controversy around Love Wins – which some accused of promoting universalism (the idea that everyone is saved from hell). Claiborne and Campolo tackle this issue. They also look at suffering in the wake of the Haiti earthquake. As one of the most prominent evangelicals (or should I say Red Letter Christians?) in America, any discussion featuring Tony Campolo is bound to be both influential and controversial. The battle to get Christians to believe social justice is part of the gospel is for the most part over. But the battle to move Christians to engage with such projects may only just be beginning. Red Letter Christianity will make you think, but few will judge the title on its theological or academic excellence. They will judge it on its ability to move Christians to action. For without action it could be argued that both the terms 'evangelical' and 'red letter Christian' are meaningless. For more information visit redletterchristians.org. To read part two of our interview, click here. A good analysis of labels, and how some can be put off by them. Even Jesus' radical, slate-wiping, liberating phrase "born again" has in the present day come to be synonymous with fanaticism, bigotry and fundamentalism. I agree with Tony and Shane that we sometimes need to use new words to encourage people to look again at Christians and Christ. I wish Christians were more noted for their love and compassion than their judgmentalism. This seems a particular problem in the US for some reason. True Christians, do not need labels, their fruit will identify, they are marked by truth!